Continuing with our ongoing series on MLB Hall of Fame members and their signing habits, today we cover center field. With the passing of Duke Snider, there is only one Hall of Fame center fielder alive. 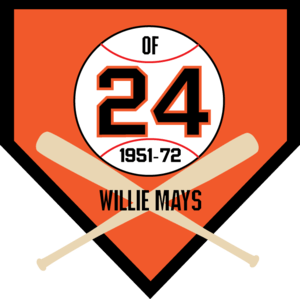 Willie Mays – It is my understanding that in his youth, he was a great signer. I have seen him interact with fans well over a hundred times since the 1970’s. He has always been a very difficult signer, even in one-on-one situations. I can honestly say he is one of the most rude Hall of Fame members I have ever seen. As he has gotten older, Willie Mays has gotten even worse. If you enjoy interacting with a profane, bitter old man ….. this is the guy for you! If you want the “Say Hey Kids” autograph, you best bet is to pay for it at an autograph show. Even then, you are likely to encounter a mean old man. Check out my autograph web store at www.autographedfirstdaycovers.com. This entry was posted in Uncategorized and tagged Autograph, Collecting, Duke Snider, MLB Hall of Fame, National Baseball Hall of Fame and Museum, Say Hey: The Autobiography of Willie Mays: Say Hey: The Autobiography of Willie Mays, Willie Mays, Yogi Berra. Bookmark the permalink.